2019 Austin Hill #16 Chiba Toyopet / Daytona Win / Raced Version / Toyota Tundra NASCAR Truck 1/24 diecast, by Action Lionel. 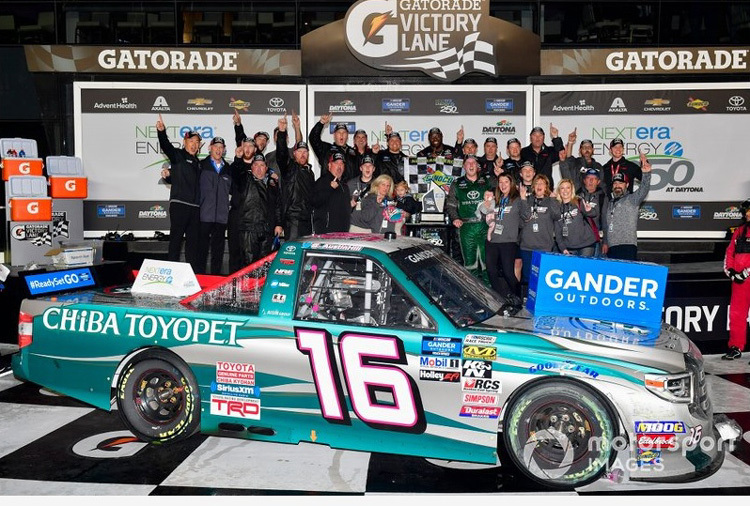 Austin Hill raced this Hattori Racing #16 Chiba Toyopet Toyota Tundra to victory in the NASCAR Gander Outdoors Truck Series, NextEra Energy 250 at Daytona International Speedway on February 15, 2019. This was Austin Hill's 1st NASCAR Gander Outdoors Truck Series Win. 2019 Austin Hill #16 Chiba Toyopet / Daytona Win / Raced Version / Toyota Tundra NASCAR Truck 1/64 diecast, by Action Lionel. 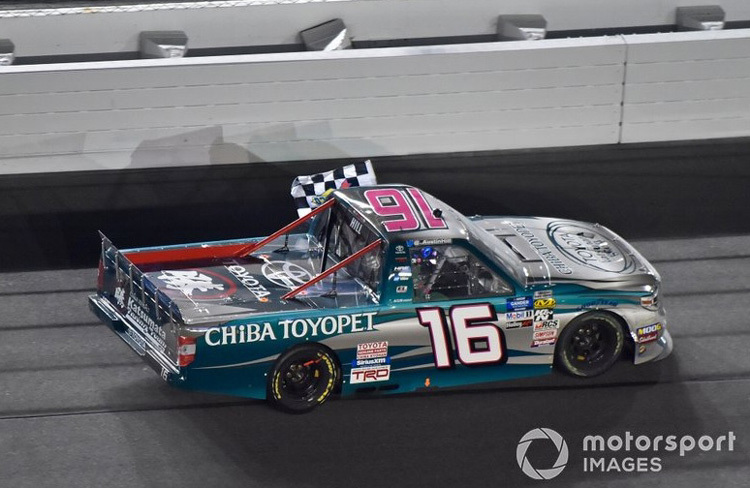 Austin Hill raced this Hattori Racing #16 Chiba Toyopet Toyota Tundra to victory in the NASCAR Gander Outdoors Truck Series, NextEra Energy 250 at Daytona International Speedway on February 15, 2019. This was Austin Hill's 1st NASCAR Gander Outdoors Truck Series Win.